 S. Garg, R. Kumar and H. Chauhan, "Efï¬cient Utilization of Virtual Machines in Cloud Computing using Synchronized Throttled Load Balancing," 1st International Conference on Next Generation Computing Technologies (NGCT-2015), pp. 77-80, 2015. M. Belkhouraf, A. Kartit, H. Ouahmane, H. K. Idrissi,, Z. Kartit and M. . E. Marraki, "A secured load balancing architecture for cloud computing based on multiple clusters," IEEE, 2015. 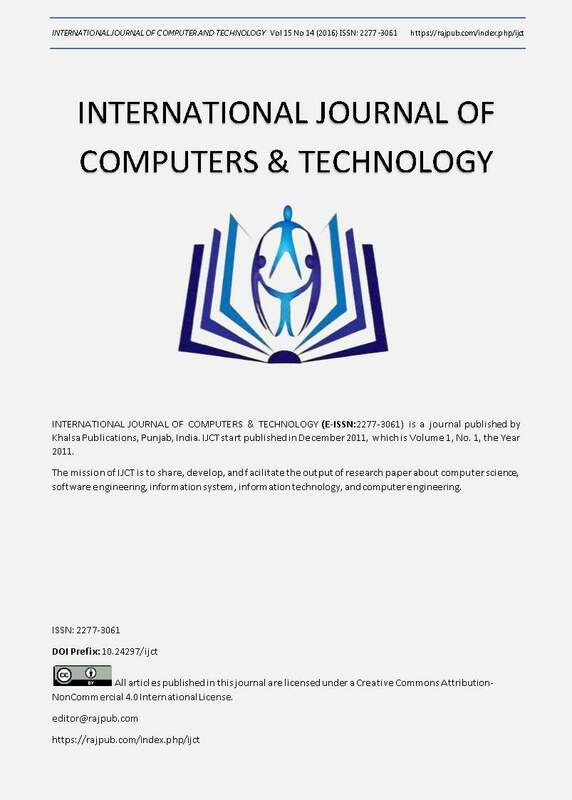 S. S. MOHARANA, R. D. RAMESH and D. POWAR, "ANALYSIS OF LOAD BALANCERS IN CLOUD COMPUTING," International Journal of Computer Sciencand Engineering (IJCSE) , pp. 102-107, 2013. Y. Xu, L. Wu, L. Guo,, Z. Chen, L. Yang and Z. Shi, "An Intelligent Load Balancing Algorithm Towards Efï¬cient Cloud Computing," AI for Data Center Management and Cloud Computing: Papers from the 2011 AAAI Workshop (WS-11-08), pp. 27-32, 2011. A. K. Sidhu and S. Kinger, "Analysis of Load Balancing Techniques in Cloud Computing," International Journal of Computers & Technology Volume 4 No. 2, March-April, 2013, ISSN 2277-3061 , pp. 737-741, 2013. O. M. Elzeki , M. Z. Reshad and M. A. Elsoud , "Improved Max-Min Algorithm in Cloud Computing," International Journal of Computer Applications (0975 â€“ 8887), pp. 22-27, 2012. B. Kruekaew and W. Kimpan, "Virtual Machine Scheduling Management on Cloud Computing Using Artificial Bee Colony," Proceedings of the International MultiConference of Engineers and Computer Scientists 2014 Vol I,IMECS 2014, 2014. Kumar Nishant, , P. Sharma, V. Krishna, N. and R. Rastogi, "Load Balancing of Nodes in Cloud Using Ant Colony Optimization," IEEE, pp. 3-9, 2012.